Security is a major threat in Mathare and as it is, there are gangs from both the Kikuyu and Luo communities terrorising residents. The gang leaders are known to the people of Mathare and so far, about 47 names of gang leaders are available. There’s also a lot of destroyed property, both business and residential. A school/home was also demolished in the area leaving its patrons homeless and without a school to attend. Repair and construction of this school would cost approximately ksh 1.5m. CUPAK has tried to seek funding for this cause, but it has not succeeded. There is need to identify exactly where these gang members live and initiate dialogue with them in order to promote community policing within the area. The provincial administration can also be involved in this initiative. A plea to the government to confiscate all manner of weapons from gang members and from the area as well would also be good. The setting up of two police posts in the locality would also be helpful, one at Mathare 4a and another at Kosovo. CCP should seek building materials from well wishers and corporate organisations to rebuild these schools. Ambassador Kiplagat will seek assistance from St. Mark’s church. During their three-day tour of Rift Valley Province, President Kibaki and Prime Minister Raila Odinga encouraged communities to reconcile so that displaced people could return home and farm to alleviate the looming food crisis. MPs from Rift Valley province have put forward their own pre-conditions for the resettlement and return of IDPs which are: 1) for suspects arrested for participating in the post-election to be released, 2) for those displaced from Mau Summit during President Kibaki.s first term to be resettled and 3) the termination of the military operation in Mount Elgon. They feel all of these actions are unfairly targeting the wider Kalenjin community. Nevertheless, the visit is seen as a positive step as it shows the issue of return and resettlement is high on the political agenda. Mediated talks on long-term constitutional, institutional and legal reforms, known as Agenda Four, resumed. 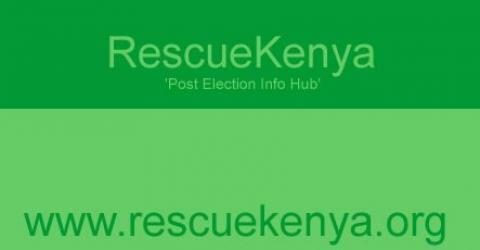 The reforms aim to resolve the underlying causes of Kenya.s political crisis. A Commission of Inquiry on Post-Election Violence will be officially established on 1 May, chaired by Kenyan Court of Appeal Judge Philip Waki. A draft bill to establish a Truth, Justice and Reconciliation Commission is being finalized. The commission will investigate human rights violations, economic crimes, including corruption and historical land injustices, committed since independence. The chairman and the treasurer of the outlawed Mungiki sect were shot dead on 28 April. Analysts believe that the sect is experiencing a power struggle over its leadership. As a result of these recent killings, the sect cancelled its first planned reconciliatory meeting with church and government officials. Floods have displaced at least 38 families in Homa Bay and Nyando districts in Nyanza Province. The Kenya Red Cross Society (KRCS) is responding with blankets, mosquito nets, food, aquatabs, cholera kits, shelter materials and medical treatment. The information contained in this report has been compiled by OCHA from information received from the field, from national and international humanitarian partners and from other official sources. It does not represent a position from the United Nations.